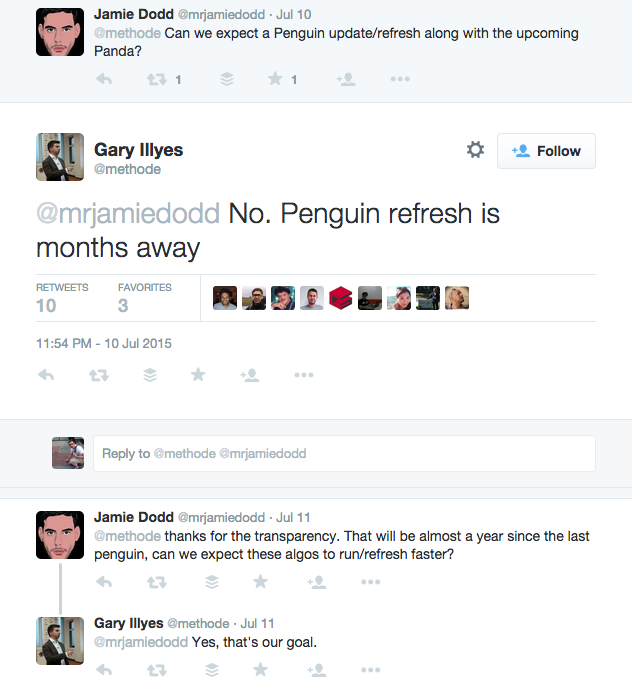 TLDR – Google is preparing another upgrade to its Penguin algorithm. If your business isn’t ready, your traffic could disappear. Here we go again: Gary Illyes, Webmaster Trends Analyst from Google, says there’s another Google algorithm update coming. Could it hurt your business? Recap: What IS Google Penguin? No, it’s not a new service from Google. Instead, “Penguin” is a code name for an update to Google’s search algorithm targeting “blackhat” search engine optimization (SEO) techniques. Blackhat SEOs use techniques like link spamming, keyword stuffing, and other methods to help a page rank higher. Google recognizes ranking manipulation and releases an algorithm update to identify and penalize sites using the blackhat techniques. Blackhats then find new ways to “game” the system and boost page rankings. The Penguin update (originally launched in 2012 but upgraded over time) specifically targets sites using blackhat techniques like link networks and keyword stuffing. While details on the coming update are sparse, it’s good to know it’s coming. It’s tempting for small business owners to hire blackhat SEOs in order to get new traffic in a short period of time. But as we’ve covered before, Google algorithm updates can destroy your business if you don’t play by the rules. Fortunately, there’s a good way for small businesses (like yours) to stay aware of coming Google updates and know exactly how to adapt your digital marketing strategy. Keep checking this blog.